RosieSandz: My Life Lessons...: What shade of America am I? What shade of America am I? “You are Mocha Latte baby”, he replied. The conversation kept on as she really wanted to know the different “chromosomes” that would help identify her background. How is she supposed to define herself ethnically to others? She is becoming more and more conscious of the fact that, with all the different shades (skin tones) in our extended family, there's bound to be different backgrounds (the root of her interrogation was the fact she heard the singer Beyonce stated that she was part French, Native American and African American). While her dad kept on teasing her, I blurted out “you are American baby girl, that’s all”. I tuned out of that conversation and start thinking of what my husband had said to her... “I’m part ALL and some some”... Doesn’t that sum up Americans? What a great time to have this conversation; we are just a few days away from the end of “Black History Month”. Almost at the end of seeing all those advertisements, highlighting the work, influence and impact black people have contributed, making this the free country that we now live in, known as America. So why do we find it important to have this month long moment? We celebrate our ancestors’ fight for our equality, but can also take pride in the results of their battle by, every day of our life, calling ourselves American (just American and not African-American). Being black, isn’t your ethnic background, your African gene and your ancestors’ history attached to you and as obvious as a uniform you proudly earn and wear every single day? Why do we allow ourselves to perpetrate unnecessary diversity labeling? How foolish is it that my 9 year old needs us to breakdown her origins, not as a learning experience, but to be able to define herself. Seemingly, it’s not only a sub part of America, but also a sub part of a sub part of America… What are we really celebrating here? What happens when February comes to an end? 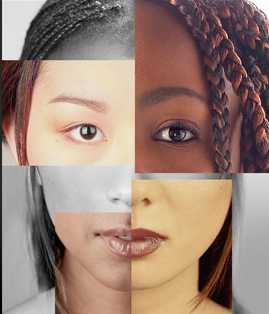 Diversity: The concept of diversity encompasses acceptance and respect. It means understanding that each individual is unique, and recognizing our individual differences. These can be along the dimensions of race, ethnicity, gender, sexual orientation, socio-economic status, age, physical abilities, religious beliefs, political beliefs, or other ideologies. It is the exploration of these differences in a safe, positive, and nurturing environment. It is about understanding each other and moving beyond simple tolerance to embracing and celebrating the rich dimensions of diversity contained within each individual. When opening the doors of this big country called United States of America, you see, feel and experience the diversity that created it. Different colors, different smells, different shapes, different heights, different cultures and different races. But why is it that, where our dissimilarities should have made us stronger, it made us weaker? Diversity, which is part of the world DNA, instead of being cherished, brought discernment against our differences and ultimately racial discrimination. Why is it that birds of different feathers will sometimes congregate together but can’t pledge to look out for one another? Unless we start defining ourselves as American and not by all its sub ethnic entities we will never be the strong country we were meant to be. Some might say “Who am I to speak?”, “What do I know about the history of the ancestors of this country?”, and “I’m not from here so I can’t understand”. To that I would reply: there is no denying my roots, and it is with pride, that when you look at me, you see the African in me. You can tell by my skin, my accent and my demeanor, just as much as I see the African in you, although you have a different accent, hair texture and demeanor. Granted, today through marriage, my nationality is American. Because of that and my 2 beautiful children, embedded in me is the history of this country. But even before that, you all need to know that I understood something; that myself, my parents and grandparents didn’t grew up here, and didn’t have to live through the oppression that the black forefathers of this country endured. However, somewhere further back down the line, your history is connected to mine because our ancestors are from the same land. So… Your history is my history, which gives you the answer to why I have an opinion, who I am to have one, and what I know. Maybe I don’t understand because I grew up in Europe. The way things work there is quite different. Whether you were born there, or immigrated there, you are who you are. If you are a citizen of France, Spain or Italy, then you’re French, Spanish or Italian. Not “Afro-French”, or “Afro-Spanish”, or “Afro-Italian”. Even though you’re origins are obvious to everyone, it seems to me that shaped the way I look at the whole matter. I think you should speak of yourself as a member of the whole, while your individual culture will speak for itself. Speak, scream, protest, march, complain, and rally against your own oppression, because those before us laid themselves on the line to give us that power, and the right to do so. Use our ancestors’ legacy as a learning tool, not as a pretext to differentiate ourselves and demand continuous “amends”. What we should learn from our predecessors who engaged in the civil right movement is that the gift they passed on to us was that, going forward, we as people from all different backgrounds, can and need to take control of our own history. With the movement, they gave minorities to a voice and Caucasians opened their eyes to the segregated world they had created. Let’s celebrate year round for Rosa Parks, Thurgood Marshall, Viola Liuzzo, Martin Luther King, Malcom X, Andrew Goodman, Mickey Schwerner, JFK, Black Churches, students, ect… All those blacks and whites, who created, lived the movement and help make life better for black, Asians, Mexicans, and Caucasians alike. They fought for you, for all of us, not so that we could be weighed down by discrimination, but instead, for us to be able to stand tall, taller than they ever did. I personally believe that limiting the celebration of one heritage to a specific month not only takes the joy out of it and magnifies the obvious differences, but it also perpetrates differences. Everyday, I look at myself in the mirror and celebrate the image of me, what it represents past and future and honor that legacy by portraying and embracing it with pride, just as I expect any other race to be proud of themselves and the strides we ALL made as human beings. Let’s celebrate the Americans that we are! Although I’m not going to change anything I wrote, I just want to stress that my point is not to say the bad experiences which occurred in the past or at this moment or are bound to happen, are not realities that needs to be remembered, voiced and dealt with; what I’m trying to say is that we need to change the way we define ourselves because through the bad sprinkle with a little good, your, our ancestors have gained the right for us to be called American. Let's not even go to statistics of black boys in jail, gangs, killed yearly, etc. You have an awareness of yourself because your parents defined it for you. "You're Rose, you're my child, You're LOVED, our family believes this, etc." Most people don't have that kind of culture! On top of that, you have the media and the powers that be, portraying what people should be. White kids and Black kids get two different messages...Let your black kid spend 20 minutes watching TV, and little girls think they have to be "Light Skinned, with long hair and a big booty, and they need to find a baller to take care of them". It's a trip. Or, they have to be the "Strong, educated black woman who has no time for a man, because she's too busy saving the world." People just can't be people, as you were saying... there is all this stigma attatched to it! When I was in Westwood, we weren't the new family in the neighborhood, we were the new BLACK family in the neighborhood. Although never said openly, actions speak louder than words. Just ask George Lucas about the Hell he had to go through to get "Red Tails" even funded!? Why!? It's just a movie, right!? No, it's a movie with a predominantly black cast. With all that said, I really don't get caught up in the 'I'm African-American, this or that..", I love all people regardless, and it's what a person does, not where they're from! Wow, great 5 minutes worth of thoughts! Thank you E, I love your last words "I love all people regardless, and it's what a person does, not where they're from!" I think it's great that you're willing to tackle this difficult subject with your daughter. You are doing the right thing in responding to her question(s). I think talking to kids about skin color / Diversity is very important because it allows kids to realize that the color of a person’s skin is not important. 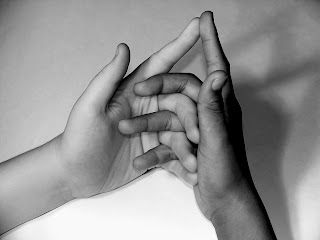 Diversity should not be only be directed to Race (whether you are black/white/Chinese and etc.). Example-My parents are both black from the Cape Verde Island (off the DEEP West Coast of Africa)-I have a mix of French and Portuguese descent on my father side. But I have light fair skin and. Growing up I wanted to know what I am. My hair is smooth- thick and Beautiful-What am I? I too struggle with how much I want to reveal to my children about race, past and present, but I think it's good to talk about it, because kids pick up on it (as your daughter seems to have already), and if all we say is "everyone's equal" than there's a disconnect between their perceptions and our message. I think it's much better to say "everyone's equal, BUT some people treat/treated other people unfairly just because they have dark skin/white skin/ are women/etc. However you choose to approach this conversation, take it in small doses, don't feel like you have to say everything all at once. I agree with you it is a very important part of parenting to be able to explain to your kids their origins, teach them their culture and instil in them pride of who they are, what they are and unfortunately in our society how they look. I think it is very important to teach them their outside appearance which is part of who they are, ultimately doesn’t define who they are. Us, adults, parents should make sure we don’t enact division by crossing that fine line between teaching cultures, origins to our kids and ethnic division. My children both know my origins (African), my culture background (African and Western European); their father mixed blood lines (Black and Caucasian) but do they need to define themselves with all their sub ethnicities? I want my kids to be able to say “I’m American” and that’s all; nothing to do with how equally people are treated but everything to do with being an equal citizen of this country. I understand that a white kid or a black kid born in this country may not necessarily be hand out the same “cards” but they both are American. To your point, diversity is life so let’s use it to our advantage. Racism use to be an overt disposition, now little strides have been made and although it still exists at least now it’s concealed (for the most part). Discrimination use to be standard practice, now we are passing more laws towards standard equality. Very interesting subject. Self awareness begins with how you were brought up to be, who you are thought to believe you are, all, instilled by your parents and those around you. Though I grew up in Kinshasa, DRC, I did not have that color coding in my brain. I don't know, to me people were just people no matter what color they were. At age 18 when I left home for USA, I somehow just easily blended with all cultures around me. Looking back, I believe it's because it was never a question of what they looked like, but who they were. I did not fully understand racism until I moved to ALabama 2 years later. I experienced it on both sides, blacks against caucasians and vice versa. At school, malls, clubs etc. It was painful to see and to live, but I was grounded and it never made me feel less or superior than! I just saddly could not understand that in that day and age, people still acted that way. Maybe I did not understand it so well because even though it was part of history, it wasnt my history? It is a good thing that our kids understand the diverse world they live in and it should be explained to them. I am COngolese, married to a Camerounese. We are raising our son to know the variety of cultures he is part of the Camerounese, COngolese and Canadian!But mostly, we want him to be defined by the values and morals we instill in him. We are who we are not because of the tone of our skin, but because of what we are made up of inside us.As long as we let our children know that, they will always survive this crazy world that can unfortunately be defined by color. During my upbringing, I went to French schools and the... focus on the African history was not strong either. It was all about the European culture, colonization, history and so forth…That did not prevent me from embracing and studying like a mad man on my ancestry…It took my curiosity and my parents’ upbringing to make me realize that there was more than being a subject of acculturation since infancy. I was never taught about all the prominent African figures such as Steve Biko, Patrice Lumumba, Nkwame Nkruma, Nelson Mandela, etc..by the French and the Belgian…I had to learn it from books and understand the impact that those guys made in the world by my myself. That is why everyone feels so alienated…Whites think that Black and Browns have hand- outs and so forth and vice versa, we think that whites have everything…that begets “desensitization” after a while because we are bombarded with images and articles and sounds of this race versus this race, these people versus these people… and when real stuff happens like the Trayvon case, no one cares anymore expect the race that is affected by this freaking murder…ENOUGH! Beautifully written, Rose! I do hope that some day people will not be so concerned about everyone else's background, race, religion, sexual orientation, etc. The question Americans ask each other about "What are you/ where do you come from?" is so annoying. As if that information has any bearing on what kind of person someone is. History does matter, especially so we don't repeat the mistakes of the past, but it should not define us. I think that belonging to a group is hard-wired into our brains, and the temptation to label people comes from the in-group connections people desire. If we could grow past that need for belonging, (which naturally excludes those who don't belong) we could be so much kinder to and compassionate for each other. You are so on target Dee with your comment on the need to belong; in more ways it divides us instead of bringing us together. To have your opinions and comments would be a definite plus. Follow "Food for Thoughts" by submitting your Email and get instant Update to your In Box! Is Your Closet Full of skeletons Too? Thank you so much for your visit, your comment and feedback, it makes my heart smile! I read all that you share with me and hope you will stop by again soon.